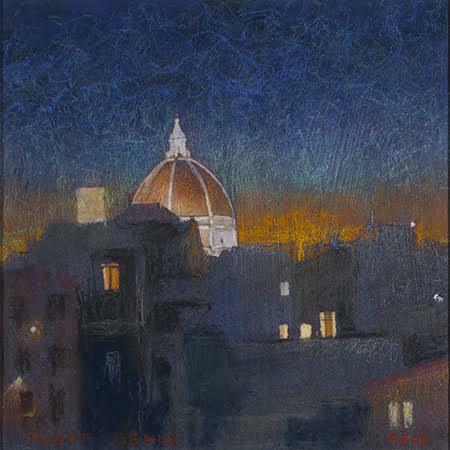 As the light dropped and night approached the lights on the Duomo and Brunelleschi's Dome would grow in intensity. This would begin before the last vestiges of the sunset died away. Again a quick study as the basis for a larger studio painting. Often these studies are livelier and more spontaneous than the later works.